A former professor of mine once said that building a house in a floodplain is like setting up a tent on the interstate just because no cars are coming by right at the moment. It defies common sense. Yet, across western Montana in recent years, sprawling trophy homes have spread like a cancer along the banks of our most celebrated trout streams. You see them on the Yellowstone, Gallatin, Jefferson, Missouri ” just about every major river with trout in it and a road along it. As a fisherman who regularly floats these rivers, I wince every time I see one of these new McMansions rise where cottonwoods once stood. As a taxpayer who abhors the idea of subsidizing stupidity, it burns me up when I see a new house being built on ground every local knows will be underwater during the next major flood. Fortunately, the Montana Legislature will soon consider a bill called the Big Sky Rivers Act, which would steer new development away from 10 rivers that are under intense development pressure. These rivers ” all in the western half of the state ” are the Bitterroot, Blackfoot, Clark Fork, Flathead, Gallatin, Jefferson, Madison, Missouri, Smith and Yellowstone. Specifically, the Big Sky Rivers Act would prohibit the construction of new homes, commercial buildings and wastewater treatment systems within 250 feet of the designated rivers. It would also ensure that healthy streamside vegetation is maintained in order to minimize erosion and filter pollution from runoff. According to the Federal Emergency Management Agency (FEMA), flood damages in the United States now exceed $6 billion annually. Much of this damage could be prevented by not building homes in known hazard areas like floodplains, barrier islands or the cut banks of powerful rivers. Sadly, it’s not just flooded-out homeowners who get stuck with the bill when floods happen. You and I pay much of the rebuilding costs. In a case that exemplifies everything that is wrong with our nation’s floodplain development policies, one notorious home was flooded 31 times using U.S. taxpayer dollars. You would think a bill that would save lives, save money and save some of our state’s most prized recreational rivers would enjoy widespread support. Indeed, recent polls show that a huge majority of western Montanan residents want to keep development away from flood-prone rivers and critical fish and wildlife habitat. Unfortunately, some of our legislators in Helena still don’t get it. They don’t see why building in flood hazard areas is a big problem. Or if they do, they choose to ignore it. That’s because when it comes to development-related matters, they tend to take their marching orders from Montana’s modern-day copper kings ” the real estate lobby. Make no mistake, it was the real estate lobby that killed similar streamside setback bills during the last two legislative sessions. Opponents of the Big Sky Rivers Act criticize it for two reasons. First, they say it takes away local control by implementing a top-down, one-size-fits-all solution. In fact, the act gives local governments the authority to come up with their own riverside development standards, as long as they accomplish the same general objectives of reducing flood damages, protecting water quality and preserving fish and wildlife habitat. Second, critics claim the bill constitutes an illegal “takings” because it deprives riverfront landowners of the opportunity to build on their property. But again, the act specifically allows local governments to grant variances in cases where a landowner’s entire property is within the 250-foot building setback. If past is prologue, the development lobby will try to defeat the Big Sky Rivers Act by bringing in sympathetic witnesses, who will testify that it would ruin their retirement dreams by rendering their riverfront property worthless. That’s the kind of shameless stunt they’ve come to rely on. They obfuscate the facts with emotion because they know the truth is not on their side. With the economy in recession and tax revenues falling by the week, the Legislature should be doing everything it can to eliminate wasteful spending. By passing the Big Sky Rivers Act, we can stop subsidizing new development in obvious flood hazard areas and protect some of our most treasured rivers at the same time. Scott Bosse is a contributor to Writers on the Range for High Country News (hcn.org). 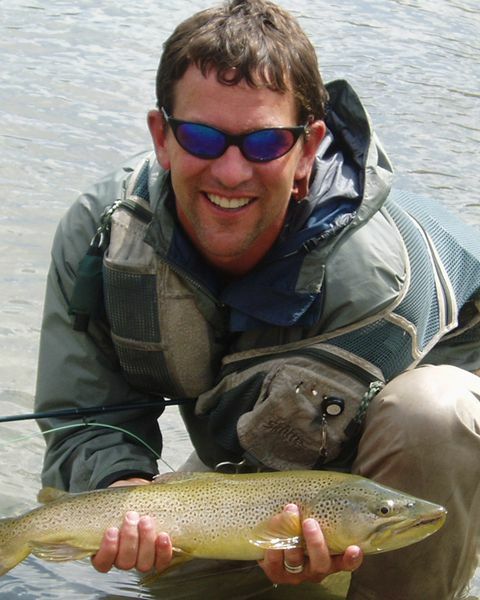 He directs aquatic conservation for the Greater Yellowstone Coalition in Bozeman, Montana.